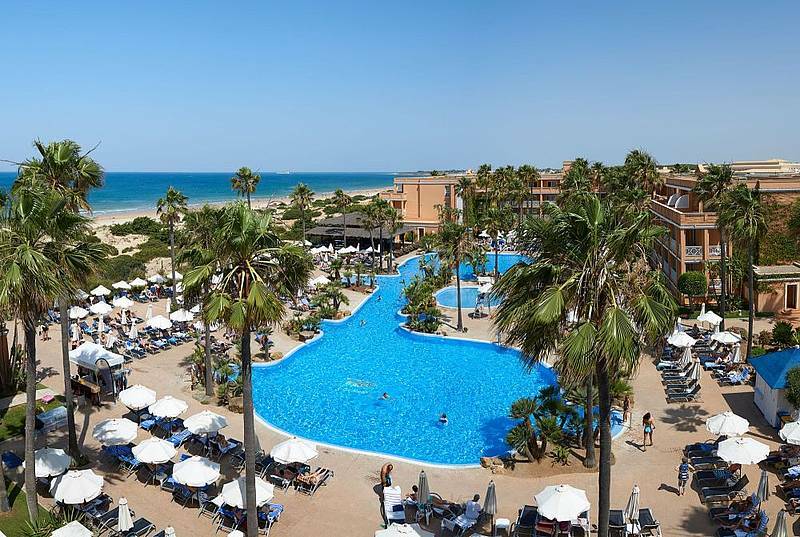 The Hipotels Barrosa Park Hotel is a grand 4 star hotel in the beach front line of the beautiful town of Chiclana de la Frontera, Cadiz. 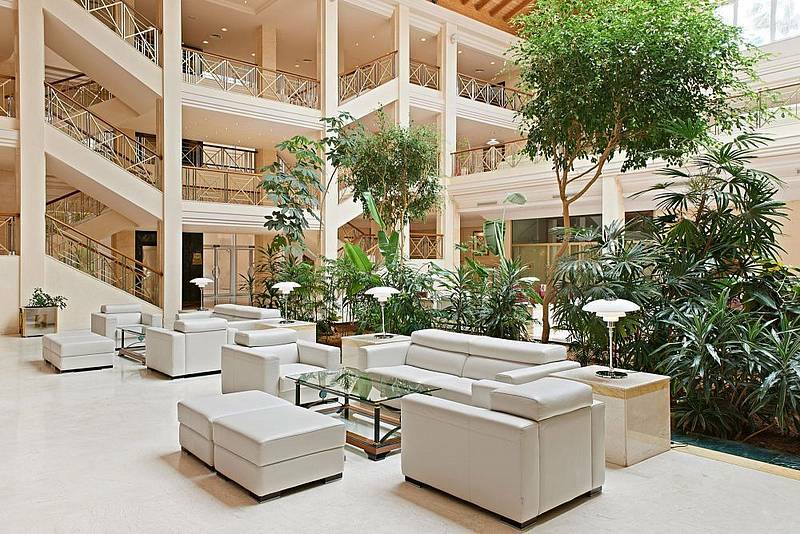 It has 384 magnificent rooms destined to offer all of our customers a stay filled with unforgettable moments. 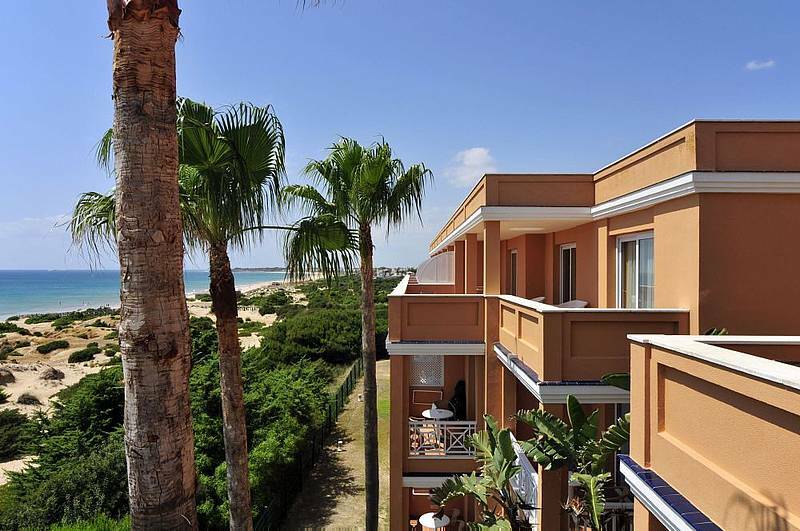 Surround yourself with nature at the Hotel Barrosa Park in Chiclana de la Frontera; a world of sensations in an idyllic setting, filled with interior and exterior gardens. 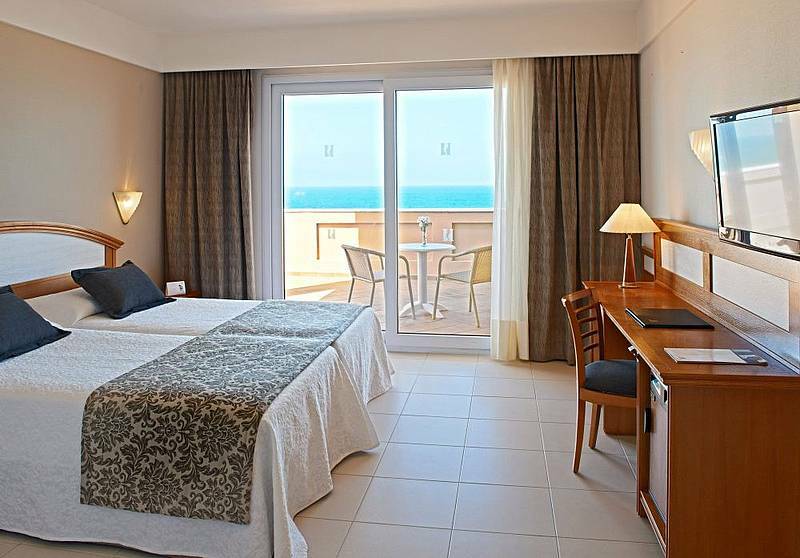 Enjoy our excellent continental and regional cuisine at the restaurants of the Hipotels Barrosa Park. 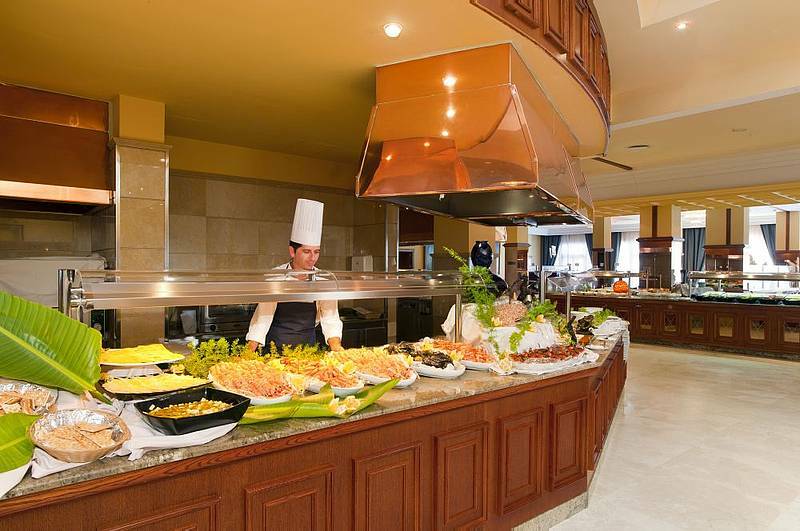 At the Buffet-Restaurant, you will find a great variety of tasty dishes of continental cuisine at the restaurant EL ESTEROwhere you have a broad menu filled with proposals from ourt chef to choose from. 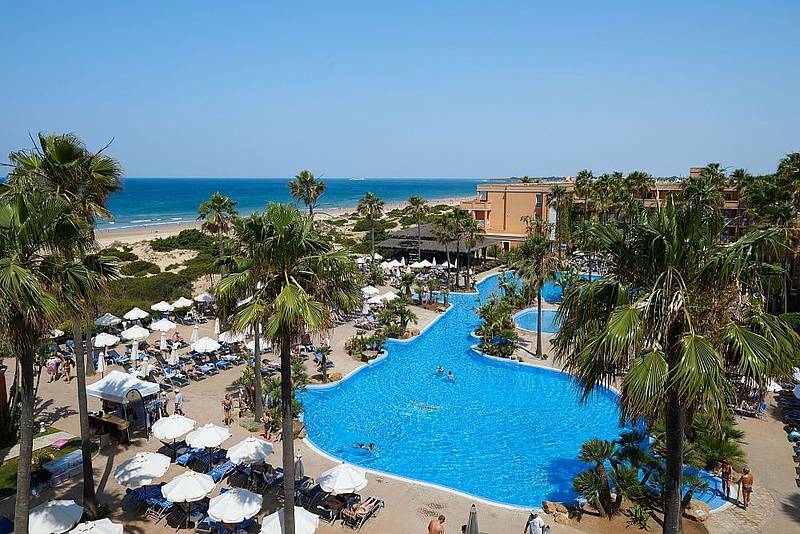 If you prefer a meal on the beach , visit our beach restaurant EL BAJEO. 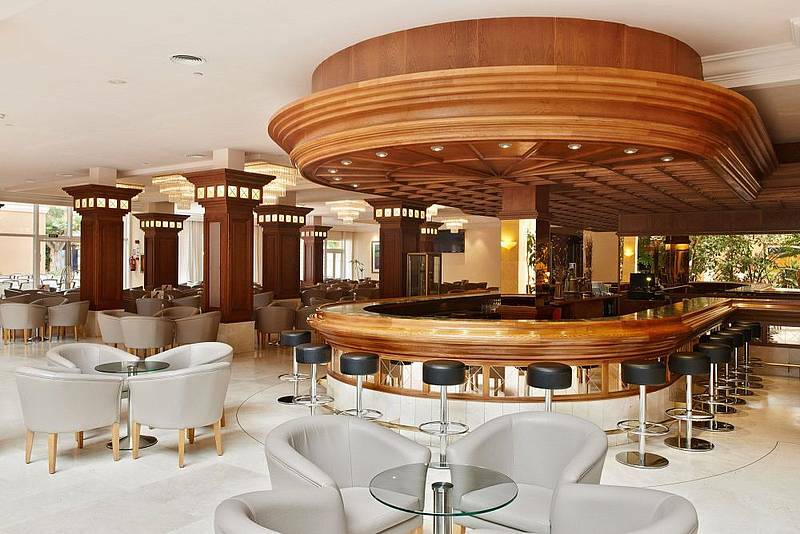 For a lighter meal, or simply to freshen up with a beverage visit the Snack-bar or the Lobby-bar. 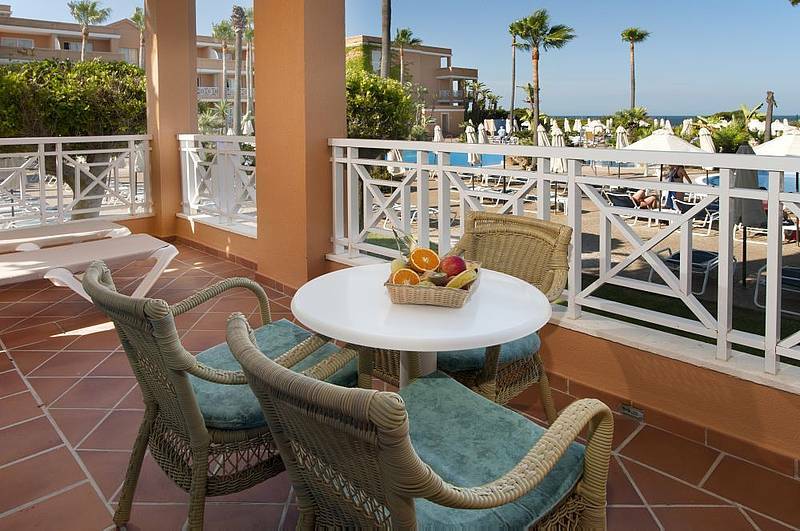 Relax under the sun of our furnished terrace with sunbeds and sunshades. You can also freshen up in the pool. For your well-being, we offer a sauna* and Turkish bath*, besides a fully equipped gym so you can work out in your holidays. The public areas and all rooms also have free Wifi. If you prefer to practice outdoor sports we have several golf courts, tennis and paddle courts* in the surrounding areas. For your events, we offer fully equipped meeting rooms. The evenings at the Hipotels Barrosa Park will be unforgettable thanks to our night spectacles in which flamenco and live music will make you enjoy memorable experiences.